If there is one thing we love here at Analog savage it is the great American game of Baseball. Let us get one thing straight right now. I am saying Baseball is American in origin, not in total distinction, the world has picked it up and ran with it, and I love how far the national pastime has spread. Anyhow, here is why things like baseball are so important. They are real. Analog games are real. I am not here to put down someone’s lifestyle, but give me something real any day. What makes it real? It is the other people (if the situation calls for them,) it is the tactile experience, the ability to engage your senses. Without those things, something is just well, it isn’t real in a way. Before someone throws down and threatens to get their ninja gear, I have played my share of video games, hell I collect them, any of them that multi-player essentially means you have to be in the same room, cords optional. I have even played a good amount of World of Warcraft, but that was many moons ago and it isn’t the same, not even close. Real is the feel of your hands on that wood, the smell of the dirt, that crack that surprises you every time you connect with that smooth ball. 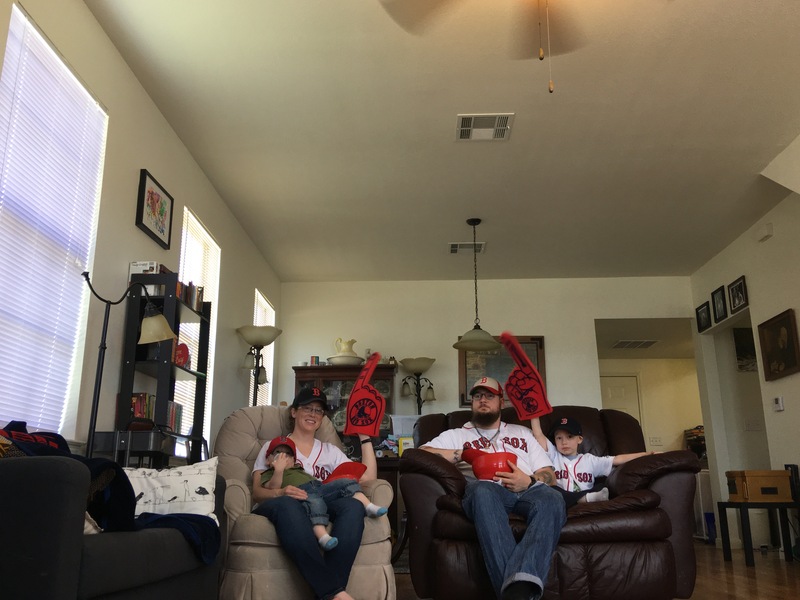 It is the uncomfortable dug out seats, it is your kids squeezing in next to you to ask 5000 questions about the game because they want to be close to you, and they want to love that game on tv. Real is the sound of a slide, you know the sound, when a human being heading for a base sounds similar to a vehicle stopping on gravel. Baseball is real, and sorry to have to disappoint, football will never be the national pastime. 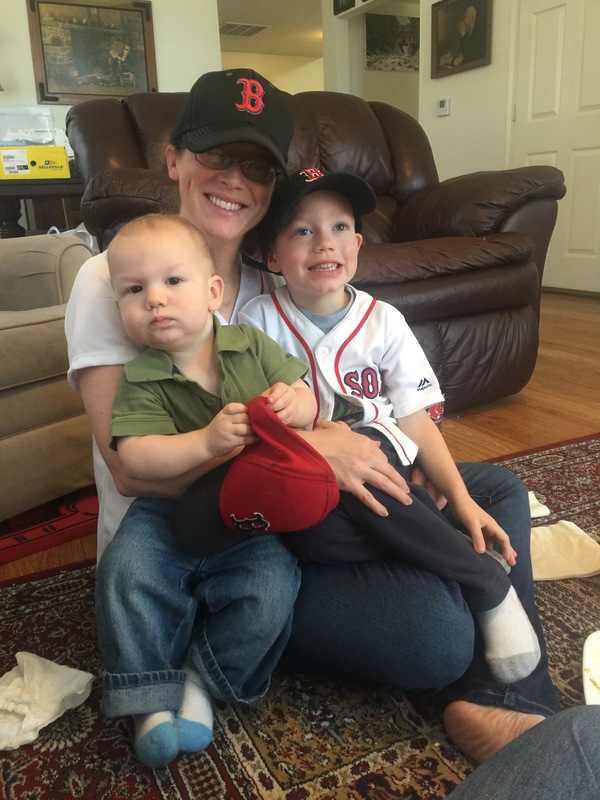 My team is the Boston Red Sox. 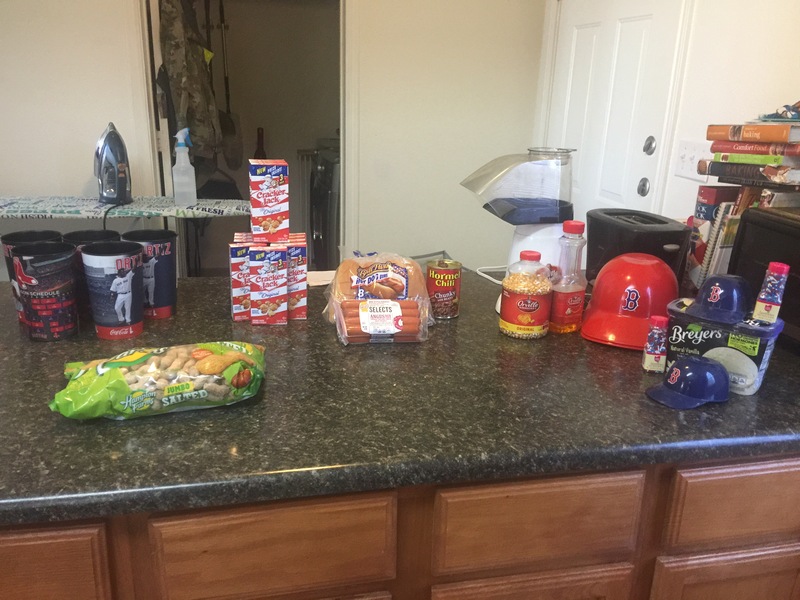 Being a kid from Soddy Daisy (Chattanooga) Tennessee, we watched the Atlanta Braves. They were the closest pro team. My brother in law in South Carolina loves them, and I’m fairly certain it is still a proximity thing. 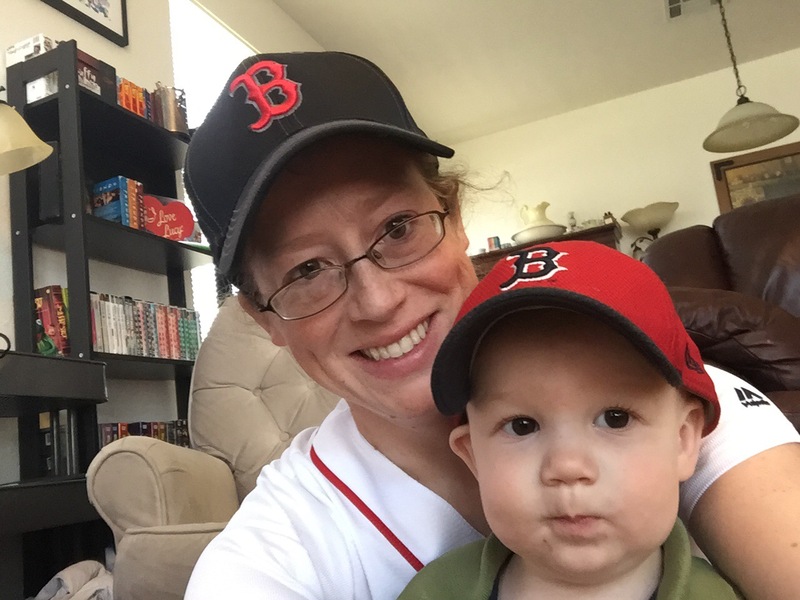 How did I become a Sox fan? I did it experiencing the real. 2007, The Savage was in Baghdad, Iraq. I was walking through the PX on the big base one day while we were there, a real treat mind you, and I came across a sporting goods section. The base we were on did not even have an American owned store, so this blew my mind. I was angry that these spoiled people had time for such things. Then I realized, so did we on our base, and I could not blame them for where they were assigned. What I could do was buy a bunch of gloves and balls, and surprise the guys with a game of catch. It became our thing. We made sure they occupied some odd space in our trucks and when the bigwigs had to talk to the Iraqis leaders for hours, we sometimes tossed ball. It did not occupy every free second, some of them, if they read this, may not remember doing it, but we did it, and we loved it. One of those guys was from Boston. He is a great guy, we are friends now. We do not speak much, but we are friends, and he could ask me for a going to jail favor today and he would have it. This is the case because there was a time where we lived the real together. He may not even know he did this, he may suspect based on my Facebook posts, but he was the one. We talked baseball, and he told me about the Boston Red Sox, and Fenway park, and the team’s history. I was sold. I was hooked just in time to pay attention during the 2007 World Series. Now The Sox, and Fenway are very important in our house. 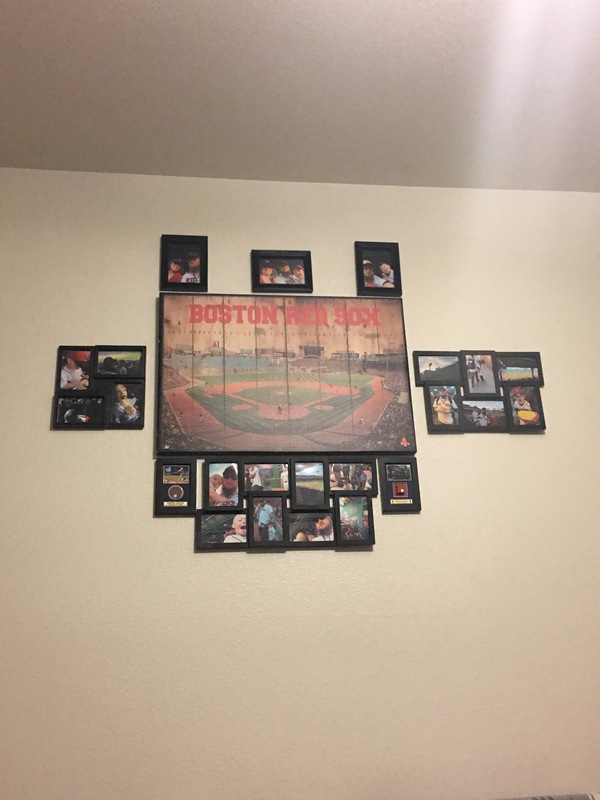 We even have a “Fenway Wall” where we chronicle our trips to the park to see games. 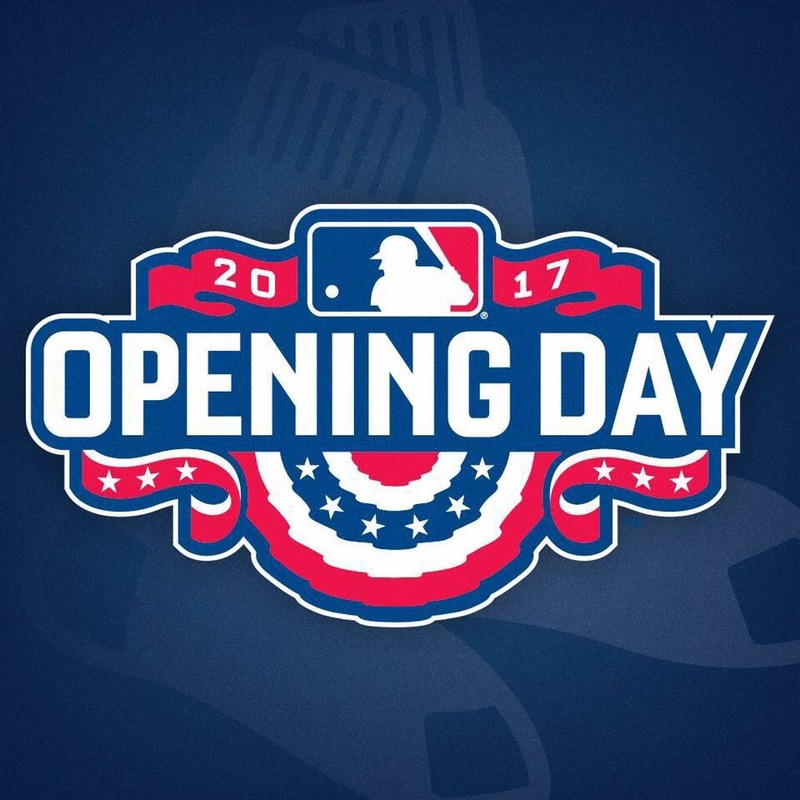 We do opening day right too. There will be more photos at the bottom for that one. 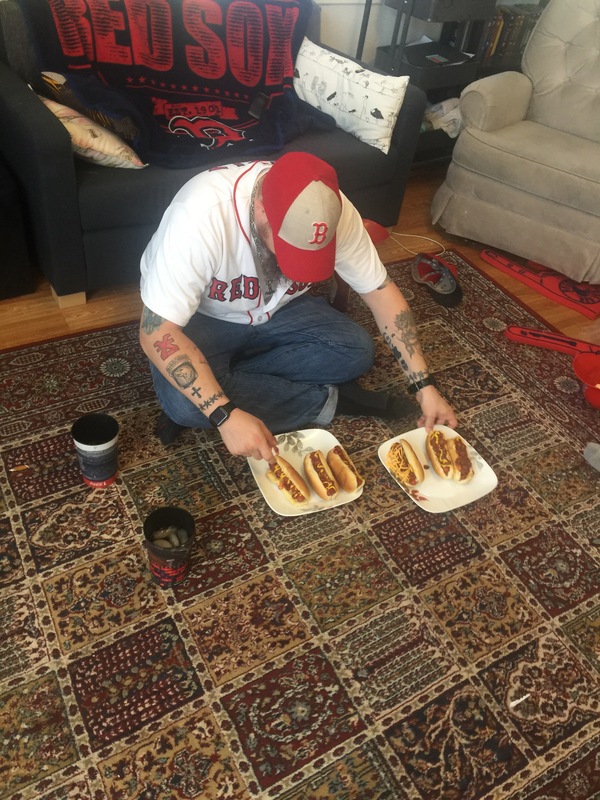 I wrote an entry for the first time we went to see a game at Fenway, my oldest son and I, it is here. It is about the real. You get a limited amount of time here. Do not waste it. Do not be that person on World of Warcraft with their kids begging them for five minutes attention. A game of catch transcends gender, it is timeless, and it is the open forum. You look for a way to connect with someone? Get to the real, share something real. Real can be found in some video games, but there is a fine line. Baseball is the top of the analog games. It can even involve a television set, because my family and I, my friends and I, we are connected to something during that time. We get the senses involved, we get the right hats and shirts on. I even found a way to make it cross lines. 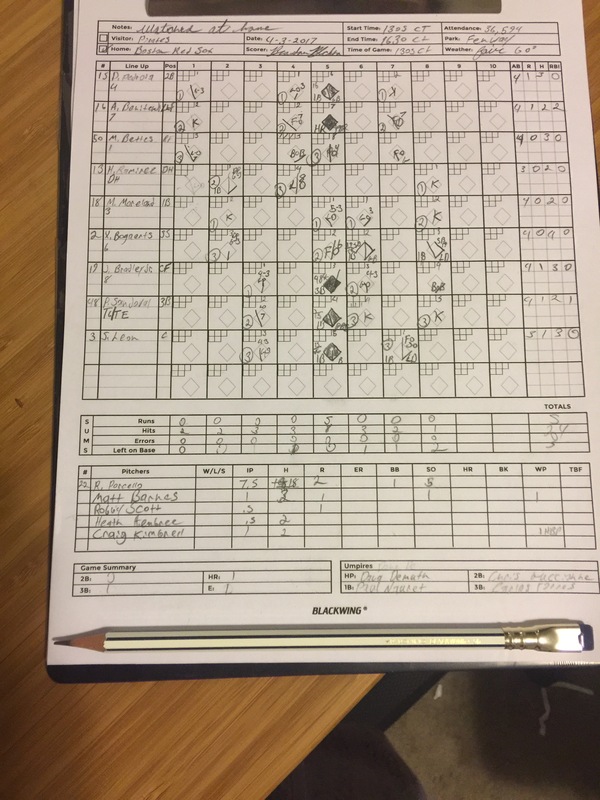 I recently took up scoring games. What a mind blowing way to get deeper involved, to experience the game on a level I never knew. We play ball, we collect the cards, we watch games as ritual, but scoring a game was like a drug. Try it sometime. Learning how may be a little daunting, the best advice I can give, to clarify the tutorials, just score your team. I want you to know the beauty of the real, of the analog, and baseball is as good a place to start as any. Go to a game, eat a hot dog, play catch with your kids and neighbor, have an old worn out glove and stick of American Ash cut in Louisville you write your story on. 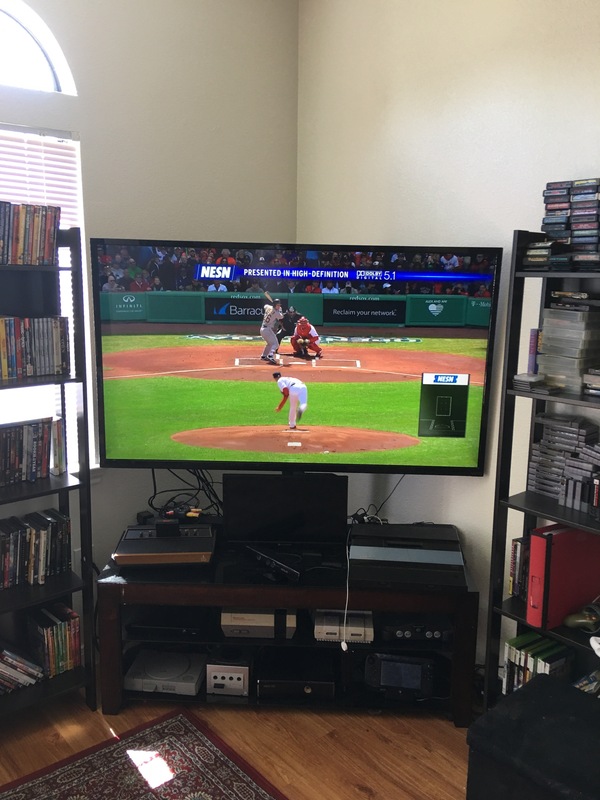 I have talked enough, but here I will leave you with some resources for more on the greatest game in the world, and some summations of my take on ball. 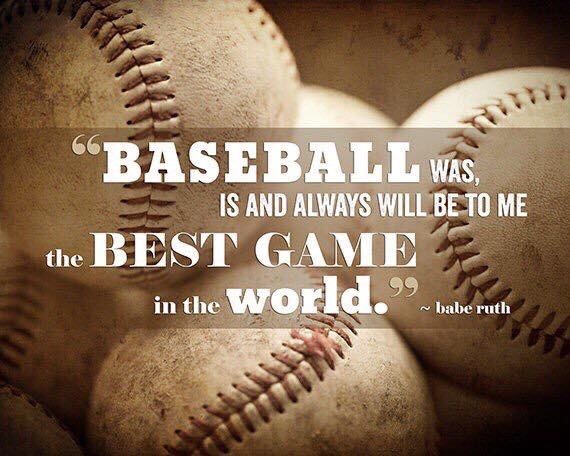 Never forget, the first point and most important point is to experience baseball, then read about it and watch movies as it invades your soul. The Art of Manliness made an awesome post about the 15 Best Baseball Movies, no need for me to re write it. If it is not fun, stop playing, but never forget that you are there to win. There will be a last game of catch, don’t let it be because you said no too many times and they stopped asking.